A South African baby boy has an unusual ’12’ birthmark in middle of his forehead, despite having been born on November 11th. Some have suggested Hanru van Niekerk should have been born 24 hours later. 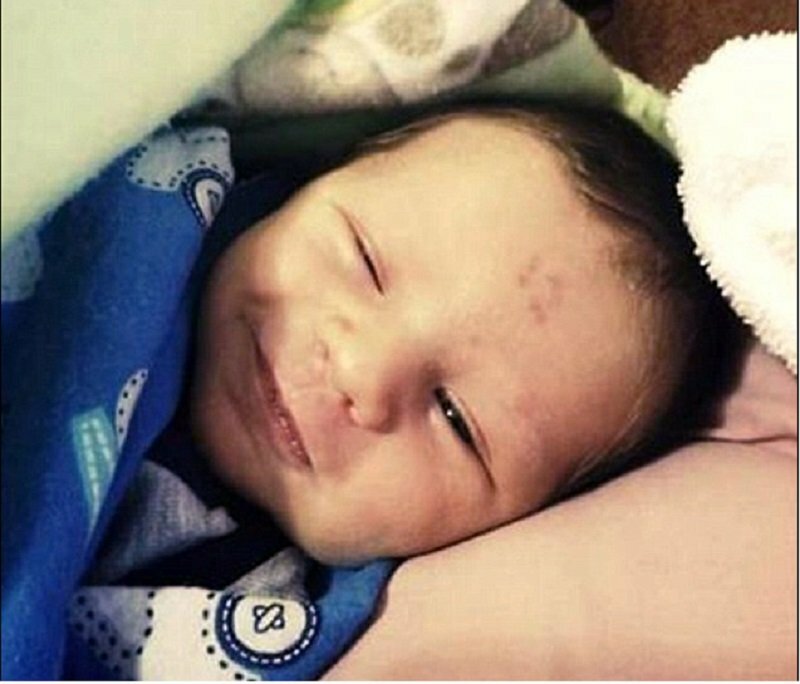 At first, the baby boy’s family did not notice the birthmark. Catherine Jooste, the infant’s great-grandmother, said that her youngest daughter noticed the bizarre birthmark first. However, doctors said that the markings will slowly disappear with time. According to dermatologist Patrice Hyde, newborns can develop birthmarks before or after birth. She said that hemangiomas are a group of small blood vessels that grow in a particular area of the body. Blood vessels are minute tubes that carry blood to and from all parts of the body. It is not known what causes these small blood vessels to clump together, but most birthmarks do not hurt and are not an indication of any type of disease or illness. The dermatologist added that most birthmarks vanish or fade completely; however, there are a few treatments to get rid of them if they are causing you discomfort. Hyde said that corticosteroids are one of the ways used to eliminate birthmarks. Corticosteroids can be taken orally or injected directly into the birthmark. The medication stops the birthmark from growing and can shrink it.